There’s choice upon choice this week, thanks largely to two special series. The Ridge is closing and presenting 10 days of great movies at a bargain price. Also, more of Canada’s Top 10 are screening at the Cinematheque. But a biography of a magazine editor tops my list, high above another Jason Statham bone-cruncher or that updated Hansel & Gretel. 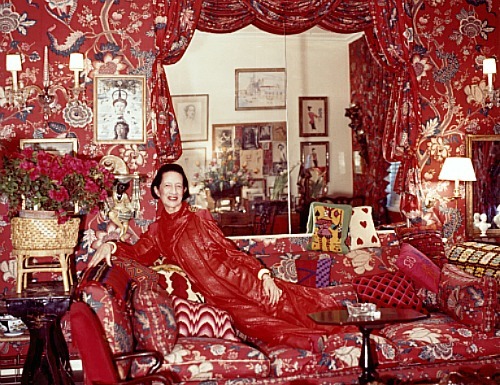 DIANA VREELAND: THE EYE HAS TO TRAVEL: Because of The Devil Wears Prada and at least one documentary, we know all about Anna Wintour, the editor of Vogue Magazine. This film celebrates a predecessor who was just as imperious and maybe even more influential. And was also fictionally portrayed in the movies, in a French film and as the magazine editor who discovers Audrey Hepburn in Funny Girl. There are generous clips from both in this fizzy and energetic documentary about the woman who was fashion editor at Harpers Bazaar for 25 years and then editor-in-chief at Vogue from 1963 to 1971. That’s the height of the 60s Youthquake, as she called it and championed it in her magazine. Too much, it seems, because she was eventually fired. 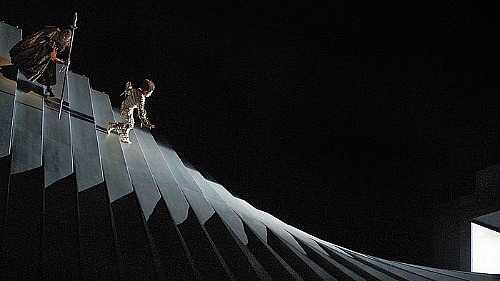 WAGNER’S DREAM: Robert Lepage made a splash in New York with his staging of Wagner’s mammoth Ring Cycle at the Metropolitan Opera. Many far from the Big Apple saw it beamed live into movie theatres. The stagecraft, principally a giant machine with moveable planks, amazed some; irritated others. This fascinating film affords a close look at how it all came about. Wednesday night, there’s an extra: MARS & AVRIL, a science fiction film LePage produced and also appears in. A musician old-timer and a craftsman become obsessed with the same woman in a futuristic Montreal. However, she gets lost in a virtual world on her way to Mars. The film is directed by Cirque du Soleil alumnus Martin Villeneuve from his own graphic novel. CANADA’S TOP 10: More of our best from last year are on screen at the Cinematheque this weekend. They’re named best by organizers of the Toronto International Film Festival. Friday and Saturday you can catch Deepa Mehtah’s and Salman Rushdie MIDNIGHT’S CHILDREN. She directed. He wrote it. Magic realism and class differences illuminate 60 years of history in India. Also on Saturday it’s India again with THE WORLD BEFORE HER. Two women take widely different paths to establish their identity in this forceful documentary. And also on Friday there’s STILL, which is new to Vancouver and explores similar emotional territory as Amour, which is currently playing in town. James Cromwell and Geneviève Bujold play an elderly New Brunswick couple, still in love after 60 years of marriage. When she suffers dementia, he has to fight city hall to build her a house. Visit the website http://thecinematheque.ca/ for more information on these and next weekend’s films. THE RIDGE THEATRE CLOSING: My wife was in India, turned on the TV in her hotel room and there was the Ridge with Terry David Mulligan standing below the sign reporting on something or other. In one of the Twilight movies there’s a long scene filmed there in the lobby. Yes it’s been an institution in many ways. Now it’s into its last days and until Feb 3 is hosting a fine goodbye with a series of recent classics for only $5 each. They include two Oscar winners for best foreign language film, two current nominees (one for best picture, the other for best documentary), Woody Allen’s biggest hit ever (and multiple-nominee) and Skyfall, the lastest James Bond film which has already made over a billion dollars world-wide and just opened in China. There’s a higher admission price for three films: The Rocky Horror Picture Show, Sing-Along Sound of Music and My American Cousin. HANSEL & GRETEL WITCH HUNTERS: A ridiculous idea is carried out with considerable panache but that doesn’t save it. At best, this is a concept for a comedy sketch not a full, huge-screen 3-D thriller. The two “orphaned siblings,” as old newspaper headlines tag them, are now grown up, experts on the ways of witches and bounty hunters for hire. Jeremy Renner and Gemma Arterton are summoned to a town where children are disappearing. Witches, they learn, are setting up a major event for the time of the “Blood Moon,” in two days. With big guns and occasional f-bombs (yes, from Gretel too) they hunt them in the forest, down dank pits and even in the very gingerbread house where they had their traumatic first encounter. PARKER: You sit watching this one hoping it will get better, maybe match the speedy, pulsing opening sequence. That’s an intricately planned robbery at an Ohio state fair with Jason Statham dressed as a priest but actually working with a gang led by Michael Chiklis. They set a fire and then pretending to be firemen get away with the loot. After that we get tidbits that seem promising but don’t pay off. The film slows down in the middle and delivers a lot of missteps. When Jason turns down another job, a “score of a lifetime,” he has to dive out of a speeding vehicle, is shot and is found in a ditch but soon after, in hospital, has enough left to overpower an orderly and escape. He sets off for Florida to foil the gang’s next job and starts by looking for real estate with a whiney agent played by Jennifer Lopez. NOTE: The images are movie stills supplied by the producers and, therefore, the exclusive property of their copyright owners.